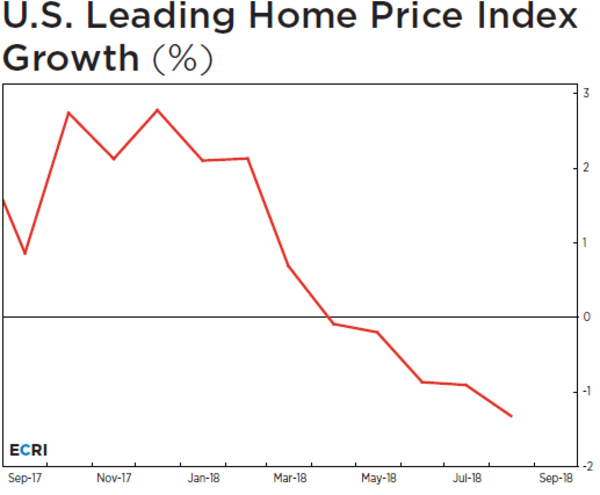 Despite a robust U.S. economy, at least as measured by gross domestic product, real home price growth is locked in a cyclical downturn. 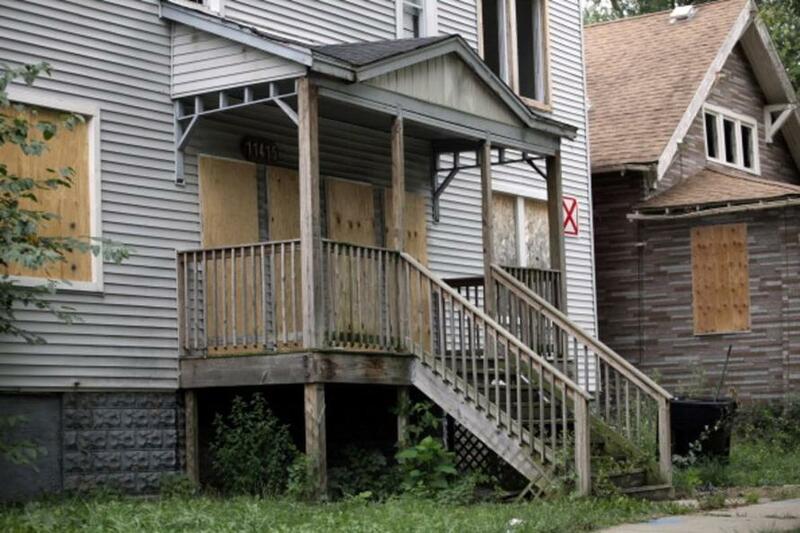 If that's not bad enough, it will likely get worse based on the same approach and factors that correctly flagged the housing bust – in real time – in early 2006. Home prices are highly cyclical and, as everyone discovered from the last recession, their movements can have material consequences for the broader economy. Yet, according to the minutes of the Federal Reserve's Aug. 1 monetary policy meeting, policy makers are only starting to recognize the “possibility” of a significant weakening in the housing sector as a “downside risk.” Our research suggests that real home price growth has already entered a cyclical downturn that is likely to intensify. Data this week is forecast to show a drop in housing starts and existing home sales. Part of the reason for the worsening outlook in home prices is the plunge in housing affordability, which is generally a function of the ability of a family with median earnings to buy a home at the median price. This metric – the National Association of Realtor’s Housing Affordability Index – recently dropped to a 10-year low, partly as a consequence of rising mortgage rates. But it’s not just about higher borrowing costs. Affordability has also been undercut by the steady rise in the ratio of median existing home prices to the median earnings of full-time wage and salary workers. This ratio recently reached a 10-year high, with the median cost of purchasing a home equaling almost six years of a worker’s earnings before easing slightly, according to our research. There's demand for homes, but prices are increasingly out of reach, resulting in a decline in the number of homes sold. This helps explain why, according to the University of Michigan's monthly consumer sentiment survey, home buying attitudes recently fell to their worst reading since the end of 2008. A downturn in the growth of home prices is unwelcome news for home builders, as growth in total homes sold has actually turned lower and is back in negative territory. To add salt to the wound, residential building cost growth has ramped up to one of its highest readings on record, according to our calculations. Higher steel tariffs, the dearth of available lots in some cities, and delays in securing building permits have all contributed to rising building costs. And the especially tight construction labor market – in which the jobless rate is near a half-century low – is also weighing on home building costs by boosting construction sector wage growth, which has been outpacing overall average hourly earnings growth since mid-2017. This is one of the few industries where the Phillips curve works, with the falling unemployment rate translating to faster wage increases. 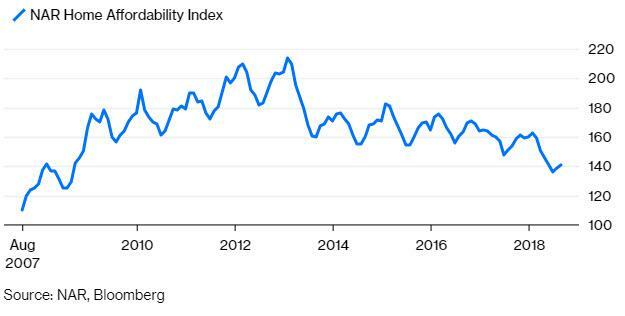 Homebuilder profitability is caught in this pincer between falling home price inflation and rising building cost inflation. So it’s no surprise that homebuilder stocks have lost more than a quarter of their value since January, with nearly half of that decline occurring in the last month or so. With the Fed determined to keep hiking rates and broader housing affordability remaining tough, it’s difficult for home prices to gain much traction. And it’s hardly reassuring that the level of real home prices appears to have peaked for the first time since the housing bust. Separately, with rates rising and the broader economy in a stealth slowdown that few recognize, stock prices are vulnerable to corrections, like the 10 percent decline in February and the weakness seen last week. In this context, the home price downturn raises the risk of generalized asset price deflation that could result in a negative wealth effect for the first time since the financial crisis. If nothing else, the prospect of this scenario warrants serious monitoring.